Beautiful hardwood floors and high ceilings throughout. The kitchen has been recently remodeled, has a large laundry area attached, and tons of storage. A wonderful deck overlooks a nice, flat backyard with a privacy fence and storage shed (ready for your backyard grilling!). The master bedroom is HUGE, and has a nice walk in closet. Other features include double-hung windows, newer roof, original solid-wood doors with remastered hardware and a dry basement. This house is ready to be your familys home! I-70 to 18th Street Expswy North - to Ridge Ave - Turn LEFT - Ridge Ave West to S. 20th Street - Turn RIGHT - House will be on the left. 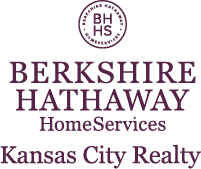 I am interested in 64 S 20th Street, Kansas City, KS 66102.